We’re all caught up in garden fever this week, as the Wight In Bloom 2016 winners were announced yesterday. 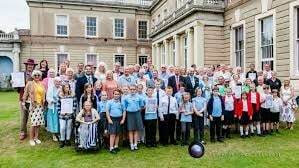 The competition, sponsored by Red Funnel and managed by Visit Isle of Wight, finished with the winner announcements at Northwood House in Cowes with a garden tea-party ceremony hosted by none other than gardening professional Alan Titchmarsh. The wonderful day saw winners from all areas of the Island, across all categories, shapes and sizes. It was really a showcase of the best of beauty that the Isle of Wight’s gardeners could muster. We were very proud to take part in the Island’s annual horticultural competition with our own garden, and we’re proud to say that we came highly commended in the commercial garden category, with Alan Titchmarsh being very complimentary about our hotel deeming it important to have such a wonderful garden. This is a wonderful accolade and one that we’re incredibly proud of here at The Clifton. 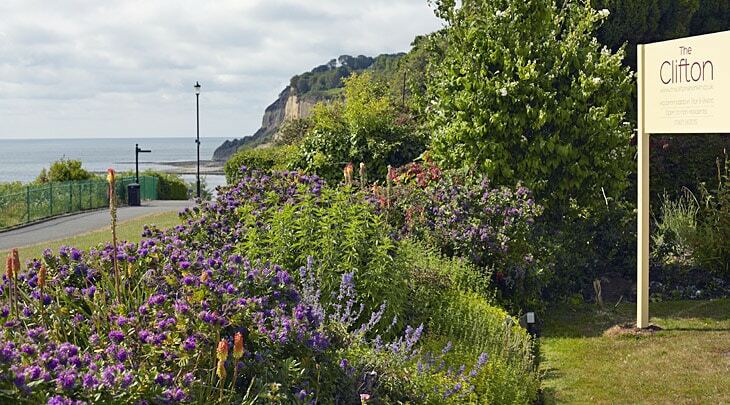 We work hard all year round to ensure that our garden is lovely and in bloom for the summertime – bringing a beautiful and relaxing area in Shanklin for our guests and locals alike – so it’s fantastic to hear that the judges thought so highly of our hard work, too. We’re also pleased to know that the Rylstone Tea Gardens and Crazy Golf, which is a favourite of many of our guests, came in 2nd in the Small Tourist Attraction Garden category. Rylstone Gardens is a wonderfully small Shanklin attraction, with a delightful Tea Room adorned with their award winning hanging baskets and even a crazy golf course for those who want a spot of competition in their day whilst they soak up the Isle of Wight sunshine. “The Isle of Wight really does live up to its title of ‘The Garden Isle’ and this year’s finalists have proved that the island’s gardeners are a skilful bunch of folk who not only appreciate the value of beautiful gardens in enriching our lives and adding to the island’s reputation, but are also happy to prove that fact by their own efforts. We have to say that we truly agree with him, and hope that our garden here at The Clifton will continue to be recognised for its beauty and tranquillity as part of Wight In Bloom every single year. We know that the lovely gardens recognised this year are enjoyed by many of our guests, and that they truly do help to brighten people’s lives all across the Island.